The past couple weeks have been all about discoveries and adventure. First, we inadvertently discovered the vegan delicacy that is Cookie Butter all because we happened to be at ikea. Since we were up their way, we stopped at a vegan bakery, Parlour Vegan, and I decided to try their "campfire s'more cupcake." I expected that it would be filled with some type of marshmallow filling, but to my pleasant surprise, it was filled with something else. It wasn't something I had tasted before so I racked my brain trying to figure out what it could be—the flavor reminded me of a mix between a gingerbread cookie and a graham cracker, but the texture was creamy just like peanut butter. 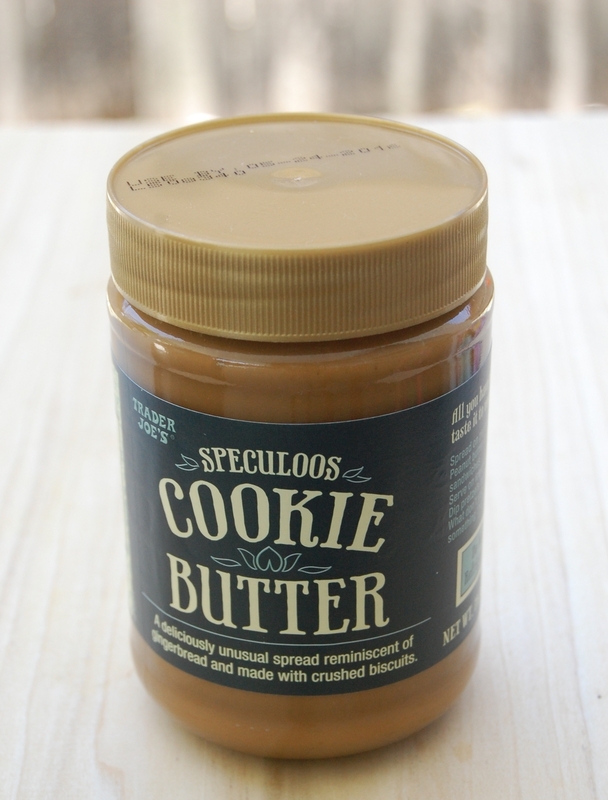 Then I remembered that there was this Cookie Butter stuff that I had heard about that was described similarly to what I was tasting. So I tracked some down, found out it was sold at Trader Joes, went to Trader Joes for the first time—which was an adventure in itself, bought some, and tasted it. Insane… That's all I have to say about that. There are no other words to explain that combination. Go ahead and do yourself a favor, try it. And in all my Cookie Butter excitement, I forgot to mention how absolutely amazing Parlour Vegan is! In addition to their deliciously decadent Campfire S'more cupcake, which I thought was very innovative relative to a conventional s'mores cupcake, I also got a Spinach Empanada and a White Chocolate Macadamia Cookie. Both were incredible. I really could not believe that either one of them (or any of them, including the cupcake) was vegan. The dough of the empanada was light and crispy and the filling was so rich, flavorful and creamy. It had the perfect ratio of dough to filling and the great thing about it was that, unlike most fried empanadas, this one wasn't greasy and heavy. The cookie, much like the cupcake, was delicious. It was rich and chewy and probably one of the best white chocolate chip macadamia nut cookies I've ever had. It was so good that I didn't stop there. I went back the next day for more, even though it's a good 40 minute drive from my house. On day two, I got another Campfire S'more cupcake, another spinach empanada, and a pizza roll (which I had wanted on the first day, but they were sold out). Once again, Parlour did not disappoint. I think that of all things vegan, vegan baking is the one area that is really tricky—sometimes the substitutes or alternatives for ingredients in conventional baking just don't quite do the trick in certain recipes. But Parlour Vegan has got it down. Of all the vegan bakeries I've tried, I have to say that Parlour is hands down my favorite. I can't wait until my next visit! The second exciting, and food related, discovery of the week came about walking trough Whole Foods picking up some snacks for an impromptu trip to the Bahamas the next day. I saw some Medjool dates in the self serve bulk bins and decided to get a few for the drive home. Now, this wasn't my first time trying a date. I've loved dates since I was little and I eat them all the time… I just realized all these years I've been doing it all wrong. I always buy my organic Deglet Noor dates from Costco because they sell a large bag of them for a reasonable price. I never realized what a difference there was between varieties of dates. There is NO comparison between the two. Eating a Deglet Noor date is like a eating a dried fruit. Don't get me wrong, they're still delicious, but they taste like what they are. Eating a Medjool date, on the other hand, is like biting into a fudgy, chewy piece of caramel candy. It's out of this world. After this, I don't know how I'll ever go back to my usual dates. Aside from the food related discoveries we made this week, we also had an awesome adventure. My parents and little brother decided last minute to take a quick three day, two night trip over to the Bahamas by boat. They had an old friend and his son in town staying with them and they just happened to have their passports with them. And since they had never been to Bimini before, the idea for our vacation was born. I’ve been going to Bimini with my family ever since I was about my daughter’s age, and even though it’s a tiny little island, it never gets old to me. Everything about it is paradise. From the crossing, to the people, to the beaches and marine life—there’s no place in the world like it. The serenity there gives me time to unwind, and reflect—when we’re over there we never have any plans, schedules or obligations—it’s all about relaxing and enjoying the simple, important things in life. From the very moment we got on the boat to head over there, the vibe set in. It wasn’t long before we were out of the bay and into the ocean, and it wasn’t too long before we were so far out there that land had completely disappeared from our line of sight. Being out in the middle of the ocean with no land in sight, in any direction, is a really humbling experience. I can’t help but realize how vulnerable I am to the forces of nature. It puts things into perspective, and makes me reflect upon what my existence is in the grand scheme of things and it make me appreciate all the more every second of the life I am living. Once we got to Bimini, it was pretty late in the day. By the time we got settled in our hotel everybody was pretty tired and hungry. However, unfortunately for us, in true Bimini fashion, despite it being well before closing time of any of the restaurants, almost everything was closed. I guess we weren’t the only ones with no schedules or obligations. Eventually, we found a place to eat, had a little dinner and went to bed. The next morning we woke up and met my family and their friend outside of our hotel. We rented a golf cart and spent about a couple hours driving around the island giving our own little personal tour to my parents’ friend. Our first stop was to the infamous straw market. This place is a landmark in Bimini. For as long as I can remember, the same group of charming Bahamian women sit outside of their little shops selling a variety of handmade trinkets—like woven bags, wallets, and bracelets, t-shirts, and Bimini bread and offering to braid the hair of every little girl that walks by. Next we stopped in at the End of the World Saloon and Sand Bar. It’s the last bar on one end of the Island and it's famous for its sandy floors. We were the only patrons in the bar at the time, so a couple of us decided to have a quick beer, so we sat and had a great conversation with the lovely bartender. Once we decided to head out of there, we took a drive over to where the old Chalks seaplane station used to be. We looked around and tried to point out the old phone booth that we thought was used to film the last scene of Silence of the Lambs. Could it have been this pay phone?? After several minutes of searching and debating, we had all reached an agreement and had found the phone booth from the classic horror movie. No, it was definitely this one. It turns out, after watching the scene on youtube, it might not have been in a phone booth or even a pay phone after all… But we had a good time on our little phone booth hunt! After that we stopped at a bakery to order some famous Bimini Bread (somewhat similar to King’s Hawaiian bread). Then we just drove around, took in the gorgeous scenery, and stopped every now and then to snap some photos of the island charm. This guy made the coolest stuff from shells and coconuts! Once our touring and sightseeing came to an end, we moved our party to the beach. We found a quiet spot on the beach, with no one else around for at least half a mile. We sat in the sand, built sand castles together, had sand-ball fights (I’m sure I’ll be brushing sand out of my hair for weeks to come, but it was worth every moment of laughter and every smile on my daughter’s face), took walks looking for shells and other treasures, and swam in the crystal clear blue water—as far as I’m concerned, there is no water as clear and blue as the water in Bimini. We spent hours there, just hanging out in the ocean, enjoying the salt water on our skin and sand beneath our feet, having great conversation, and laughing uncontrollably as little fish persistently pecked away at our heels giving us free pedicures. It was perfection. If it weren’t for the strength of the sun, to which no sunscreen on earth stands a chance against, we might have stayed there forever. Once we decided it was time to go, we went back to our hotel to shower before meeting again on the boat for dinner. We had a laid back, relaxing dinner together, just enjoying one another’s company. After dinner we hung around outside on the boat and on the dock, just engaging one another… We had nowhere to go, nothing to do, so we just hung out, appreciating the moment. At some point while we were sitting on the dock gazing at the stars and taking in the tranquility of the water, we saw shrimp congregating on our dock lines. We grabbed a net we had on the boat and decided to see if we could scoop up the speedy, agile little creatures. We spent a good hour in our endeavor, getting excited, laughing and working together as a team. I can’t remember the last time we all engaged in an activity where each one of us was so genuinely happy all at the same time—it’s moments like those that are what life is all about. It doesn’t take a plan, scheduling, or expensive things—all it takes is being together and simply being able to appreciate being together. I’ll never forget that time on the dock. The next day, our final day of the trip, we woke up, got packed up on the boat and headed out to one our favorite spots near Bimini, called Honeymoon Harbor. It’s a tiny little island that you can swim up to from your anchored boat and feed wild stingrays—they’re so used to being fed by tourists that you can always count on them to be there. We made ourselves a little lunch on the boat and then swam over to feed our friends. We saw some sharks, dozens of stingrays and beautiful little fish. We took a walk around the island, waded in the water, and climbed some old trees that looked like giant pieces of driftwood. After a few hours there, the tide started to head out and it came time for us to make our way home.